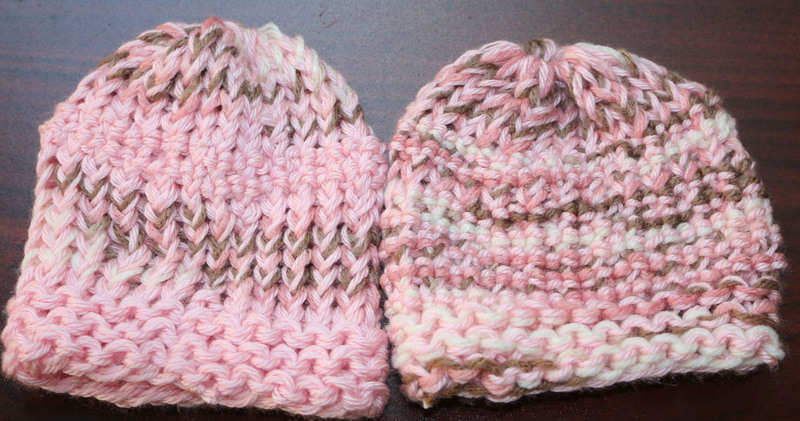 In hopes of trying to use all of my yarn stash, I made these hats for two little baby girls in the NICU, using a neapolitan variegated yarn and a pink yarn. I also tried a new stitch that our dear friend, Denise at Loomahat blogged about here (link). The stitch was very easy to do and I am happy with the results. On the hat on the left, I worked 6 rows of garter stitch and then e-wrapped for 10 rows. Then I worked 3 rows of hearts in all pink and then e-wrapped until closing. On the hat on the right, I worked 4 rows of a garter stitch and then the tiny heart stitch for 10 rows, e-wrapped for 6 rows until the hat was closed. 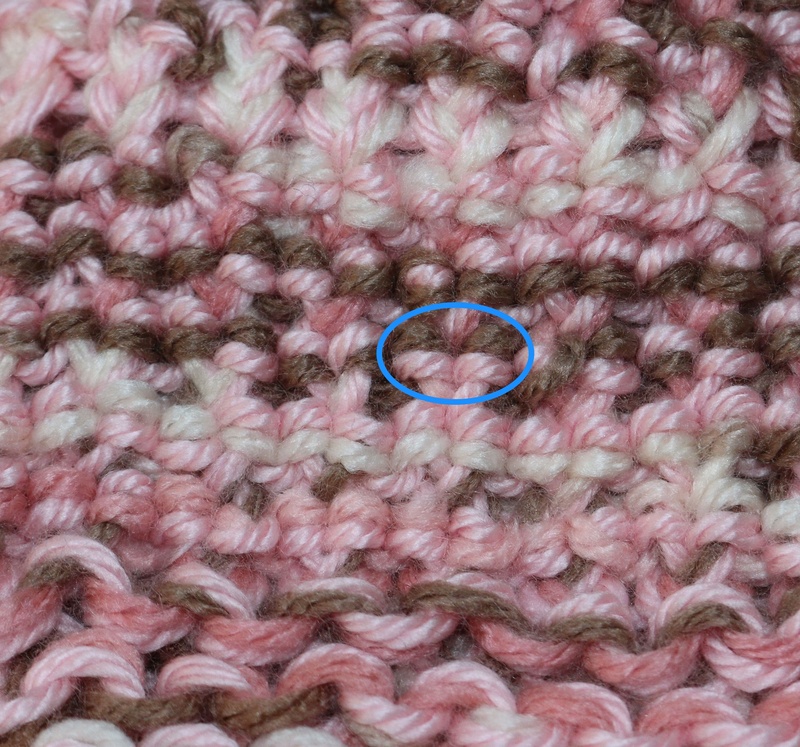 Here is a closer view of the hearts that this stitch makes. I hope that you will give this new stitch a try. Denise has done a wonderful job in documenting the pattern and even providing a tutorial online on her YouTube channel.